Welcome to our website. Enjoy the visit ! 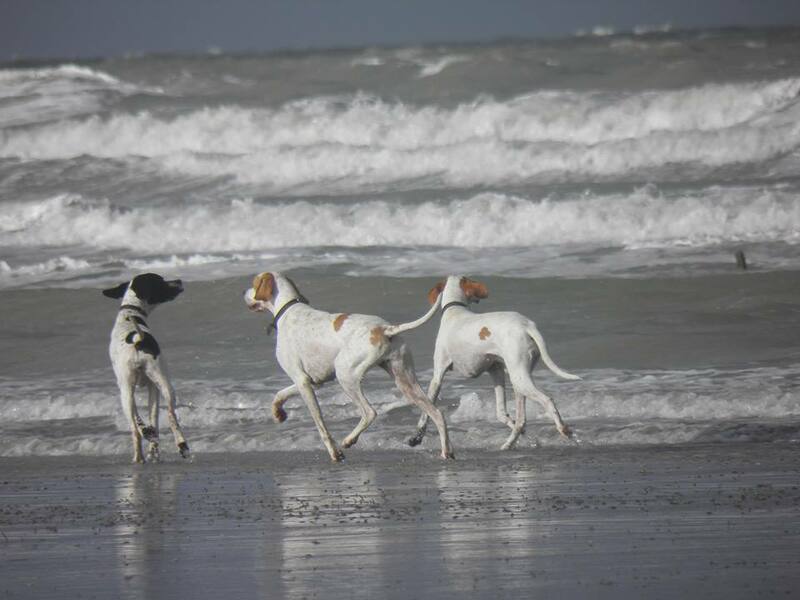 Talking about a graceful athlete among all breeds, one can't pass the English Pointer. They are "pure gundogs", but combine this with so much elegance that one can only love and admire them ! Few people really know the breed, which is strange. The English Pointer is a strong and healthy dog. He loves to run and play, and moreover you receive a lot of love, friendship and pure joy in return. They go along really fine with kids. Please enjoy a walk through our website and discover this aristocrat in dog-breeding under FCI nr. 1. Rey Alegria's is home to a small family kennel in Belgium. We want to create that special "ALEGRIA" feeling (JOY & HAPPINESS) with our friends and pointer families. ALEGRIA being the beautiful Spanish word for "joy" !